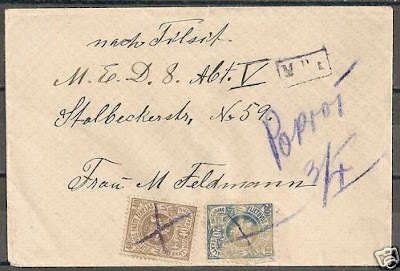 1919 Censored cover cover from Poproi to Tilsit (Tilžė). No arrival, F/VF . Mi 52+54 pencancelled.